The More the Merrier – and the Safer. In about 4 weeks – depending on when you read this of course – you will be celebrating the start of a new year and I will be celebrating the birth of my first child. Interesting and exciting times for all! Of course my incredibly good, youthful looks, belie the fact that I’m well into my forties and therefore have completely failed to conform to what many pundits like to think is the motorcycling norm. I should, they say, be about to have a crisis and rediscover motorcycling, rush out and buy a bike much bigger than I can handle and then promptly die a gruesome death at the hands of my incompetent ego. But for me, the birth of my First generates a host of different dilemmas. For a start I am of course thinking about whether to bolt a sidecar on to an existing bike, or just use the opportunity to mask all of my anxiety with the purchase of a complete outfit. 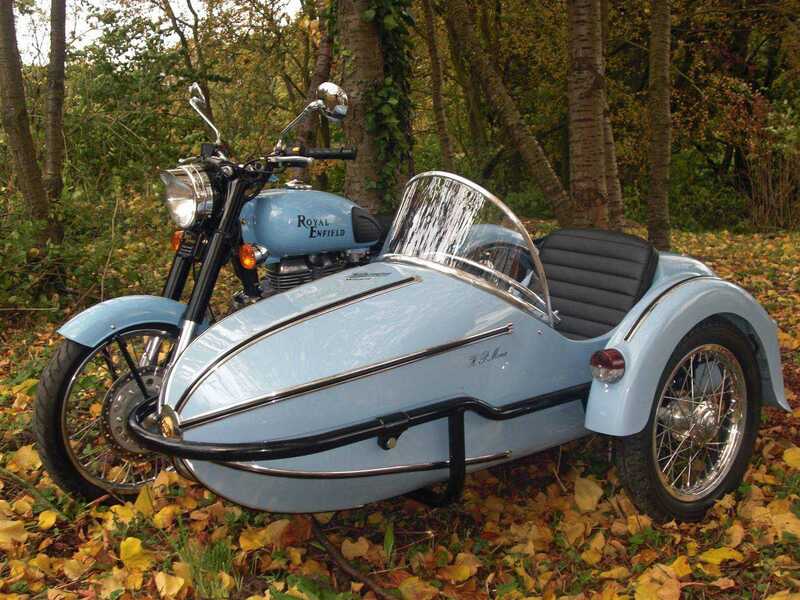 Clearly I’m not alone in my 3-wheeled thoughts, as the country’s oldest surviving sidecar maker Watsonian-Squire, have just announced from their leafy Cotswold headquarters, that they are experiencing renewed interest and sales in their products. My thought process is a jumbled one though, as the pros and cons do cerebral battle. As a courier for over a decade, I wince at the thought of being stuck in traffic, but as a realist I acknowledge that I’ll probably be at the head of the queue more often than not, especially if I acknowledge and embrace my partner’s belief that our chariot has to look ‘kinda cute and retro’. That’d be an Enfield combo then. Damn you Harry Potter. Then there’s the issue of safety. There’s bound to be, as I’m about to be a dad and everyone says this’ll happen. Apparently I shall be wracked with feelings of protectionist guilt and perhaps even my unshakeable conviction in my own immortality will be tested. So therefore a sidecar makes perfect sense. After I’ve mastered the completely bonkers dynamics of riding one, they are, according to the stats, one of the safest forms of motorised personal transport per mile travelled. There are no doubt myriad reasons for this, from the already mentioned lack of velocity, to the mindset of those who use an outfit – like dads of new-borns who are crapping themselves with the responsibility of it all, but determined not to use a car. But then there’s the old favourite, the scientifically proven fact that other road users cause more of our accidents because they don’t bother looking out for us. 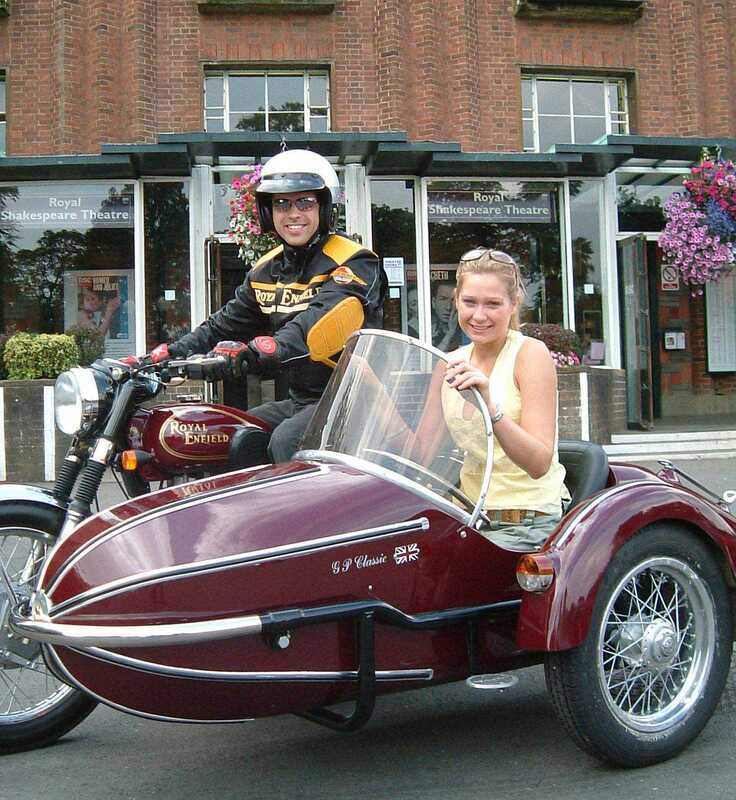 Well they certainly notice sidecar outfits, whether it’s because of the novelty, the extra frontal area, or their smug moral disgust at seeing the terrible irresponsibility of a family perched upon such a contraption. If that is, they have time to pass such judgement without interrupting their phone call, spilling their coffee or telling the kids to sit down in the back because they haven’t bothered to strap them in. Whatever the reason to cause it, we know that when other motorists have reason to look out for motorcyclists in all their guises, accident rates fall. Studies like that of Clarke et al in Nottingham Trent University clearly show the link between observational levels and mode of transport used, with riders being the most observant and those related to, or friends with a rider, being the next efficient. The least observant road users are those who don’t know anyone who rides a bike. It follows therefore, that having more riders will lead to more friends and relatives of riders and therefore greater observation and fewer accidents. Even those who don’t know anyone with a bike, will get used to seeing more bikes and therefore start looking for them. The Dept of the Environment Northern Ireland claim that 3% of all the traffic in the province is powered 2-wheeler and it accounts for 14% of casualties. Compare that to mainland GB where it’s 1% of traffic but 20% of casualties and this idea certainly seems to stand up. Thankfully, the evidence that having more riders on the road network can actually reduce casualties, is at last being embraced by leading figures from the motorcycle industry and the police. At a conference held in the Dept for Transport building in London on November 11th this very thought process was debated. The event was even wittily entitled ‘More motorcycles could reduce casualties?’ lest anyone was unsure why they were there. The keynote speaker was Robert Goodwill, conservative MP and Under Secretary of State for Transport, so it appears the Government may even be prepared to engage too, after years of trying to do everything they could to blame riders for their own demise. Various scientific studies were presented during the conference, demonstrating for example, that the Netherlands has 3 times the number of bikers per population, yet they are 5 times safer than British riders. Even Greece where as I witnessed last month, hardly anyone wears a helmet, has a proportionate fatality rate barely a third of ours in the UK, but a whopping 33% of all traffic is by powered 2-wheeler. The OECD (the Organisation for Economic Co-operation and Development) find the same basic results and have recommended increasing bike traffic to reduce casualties since 2008. The International Traffic Safety Data and Analysis Group – which sounds like a great Christmas party – argue that there is a significant decrease in casualties once bikes account for 10% of the traffic. Clearly volume breeds relative safety, as the conference said. Then there are the benefits of more motorcyclists reducing congestion, wear and tear on the roads and improving the economy generally. So this is a plea, on behalf of all of us, for all of us: encourage everyone you know to ride in the New Year, there’s a bike to suit everyone. You know it makes sense. I’ll do my best for biking, as I always have, but I don’t think I’ll be able to keep physically producing new, infantile riders. Unless I get a trailer too. Happy Christmas. A star is born. 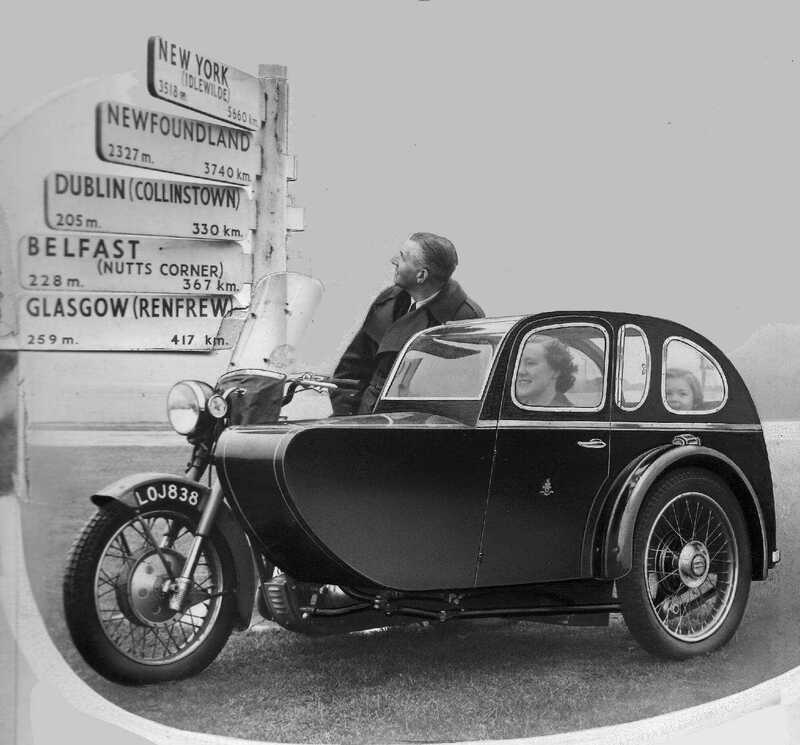 …or buy a good condition Watsonian Oxford for your first sidecar. My wife, two kids and the dog use to travel quite happily in ours. It has two bench seats and is absolutely enormous. It’s so wide that it’s very easy to ride, not really much possibility of that lifting on left handers! It’s not made any more unfortunately, but they crop up on the second hand market. I turned to the dark side by way of a Ural Dalesman. Perfect for the camping trips in the wild my wife and I love since cross country/snow and any kind of vile road conditions the Ural handles with perfect ease. Combined with the running costs of ridiculously cheap spares from Eastern Europe and the unit having been designed as a unit… as opposed to a combination of bike plus side car… ludicrously easy to maintain with a minimum of tools…And that boxer engine. Safer? While I admire Paddy’s points, there is one little one he missed. A sidecar rig is not a motorcycle. It just looks like one. The handling completely different. With a sidecar, counter steering doesn’t work unless you’re flying the chair. The rig pulls to the right when accelerating and shifting. It pulls left when braking. It will try to drift in left turns and fly the chair in right corners. It’s a miracle that you can get it to go straight. Also don’t ride aggressively, a rig is not that forgiving due to it’s greater weight. But as the owner of a Ural, I have to say that it is a utterly retarded and obscenely huge bag of fun. For anyone wanting to ride one, take a course and take it easy and enjoy the ride. Reverse everything Mike says above for UK handed sidecars, or you will be in a ditch in seconds! Sorry about that, forgot who I was addressing. But I am glad we can all agree on the fact that sidecars handle differently and have a learning curve. And more importantly, we can all agree on them being loads of fun. I’d agree with Mike on the handling… it’s about as similar to motorcycling as trampolining is. In all my years of being on a motorcycle, my first day on the Ural remains one of the scariest on record. Fortunately, I didn’t end up in a ditch or hit anything. After a basic bit of first hand tips from an experienced sidecarist, it stopped being just plain scary and became the most fun experience I’ve had since jumping out of aeroplanes for a living… never looked back since and I certainly wouldn’t go back to 2 wheels. Wild Camping with a few like minded rugged sorts takes on a new meaning on a Russian unit, it’s a new adventure taking on the green lanes on a piece of machinery designed just for that task. As one of the ‘like minded sorts’ Moley’s talking about I can quite categorically affirm what’s been said here about the handling characteristics of an outfit – I most certainly was that person who wound up putting my outfit into someone’s garden fence……..and into a 4ft ditch, all in the same day. My first day riding an outfit was an absolute nightmare – the only reason I’m still in one piece is because I ditched everything I’d ever learned as a riding instructor and RoSPA advanced rider and started from scratch, learning what was happening whenever I put any input into the outfit……Scary, but very intuitive the longer I rode, and a revelation as I became more confident on it. As Moley says, the possibilities opened up – with regard to adventure riding – are huge and I also wish I’d picked up on the joys of owning an outfit earlier….there are runs I’m planning on doing that I would already have done if I had……. Spot on Paddy. Congrats on the new arrival. Unfortunately I am of an age where my January event is my first foray into grandparenthood. My dad and his dad before him had outfits when they had family. 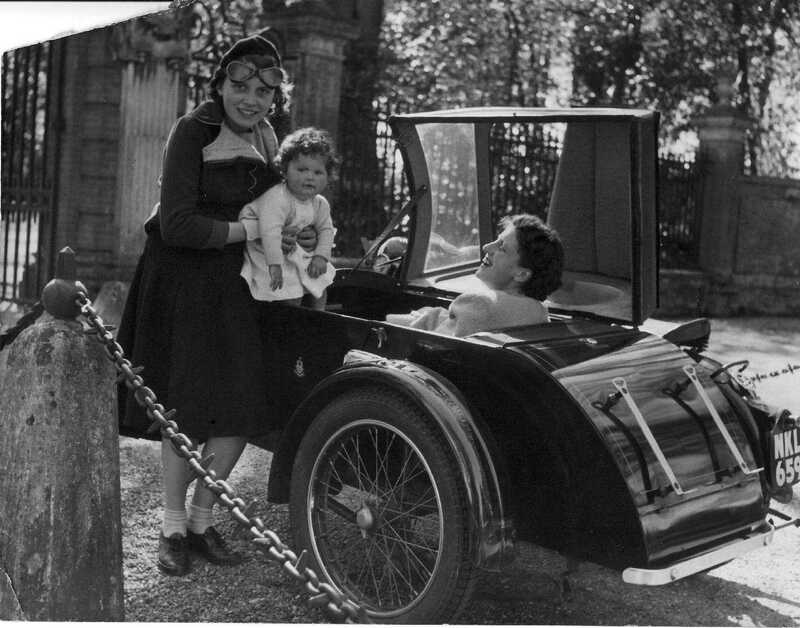 I still have a picture of my late mum holding me, as a babe in arms, upon the seat of some 350cc british single. Happy days. Congratulations on Grandparenthood and I hope the parents are all well and happy! 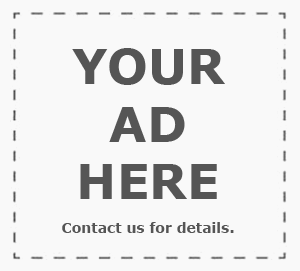 Have a like for the article Paddy and for the replys. I am thinking of going down the same route in 3.9 years when I retire(for winter rallies). Ha Ha , like these sidecar comments. The best one I have ever seen was when a local took our kid out in a Harley one near the Nurburgring.He had long hair at the time came back smiling like mad , but that changed when it took him two days to untangle himself. Boy did we laugh. Baby arrived yet? Please tell! I’ve been sidecar-ing for years with kids in the chair. If they grow up with any sense of fun, they won’t just tolerate it like a car, they’ll actually ask you to take it out on the road. You will be a cool dad and the envy of all their friends. Sidecars are good for school runs with children too small to reach the footrests on a normal bike; for supermarket shopping, camping trips and carrying small items of furniture. I’ve even used mine as a garden tractor! Agree with everyone else that the handling is strange and the first day is dangerous, the next dangerous phase is 2 months in when you think you’ve got it but you haven’t. Make your own decisions about safety: I normally put passengers in helmets although it’s not legally necessary – we once crossed town with my eldest wearing a Cyberman head. Also I’ve always fitted a rollover bar, as it’s not too hard to turn a combo upside down, even at low speed, and you want something to rest on other than the passengers’s bonce. Mine was custom-made for me by Maitland Racing in Hampstead. So if I was going to buy a new sidecar, I’d get a Squire ST3 which comes with a perimeter frame and rollover bar. But Watsonian aren’t the only source of new chairs: you might go for a Velorex from F2 Motorcycles. I’d get a Velorex Tour for its high tail, plenty of room for nappies and picnic gear.